A weary pack of struggling homeowners follow a winding path through a foreclosure ridden forest, all the while surrounded by boarded up homes of casualties who came before them. They are running on fumes and exerting every ounce of survival instinct necessary to escape. All of a sudden, a light flashes in the distance and an echo of cheers permeates the forest. The pack accelerates towards a bright sign hanging from the trees. They come to a stop and angle their necks upward to read “foreclosures down nationwide”. The group sighs dejectedly as the wind comes right out of their sails. It was only a mirage, and they are still not out of the woods yet. RealtyTrac released its midyear foreclosure report last week which indicated nationwide foreclosures are down 16 percent from a year ago and have reached the lowest levels since the housing bubble burst in 2006. 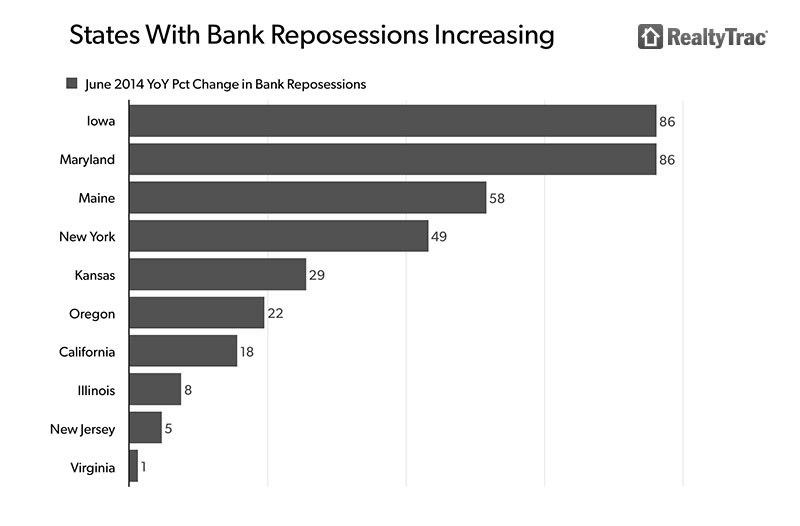 While the nation’s decline in overall foreclosures is a promising trend, it does little to comfort struggling homeowners living in areas where the numbers are not improving. Foreclosures are increasing in states such as Ohio and Indiana, and the cities of Raleigh, N.C. and Orlando, FL and many others. 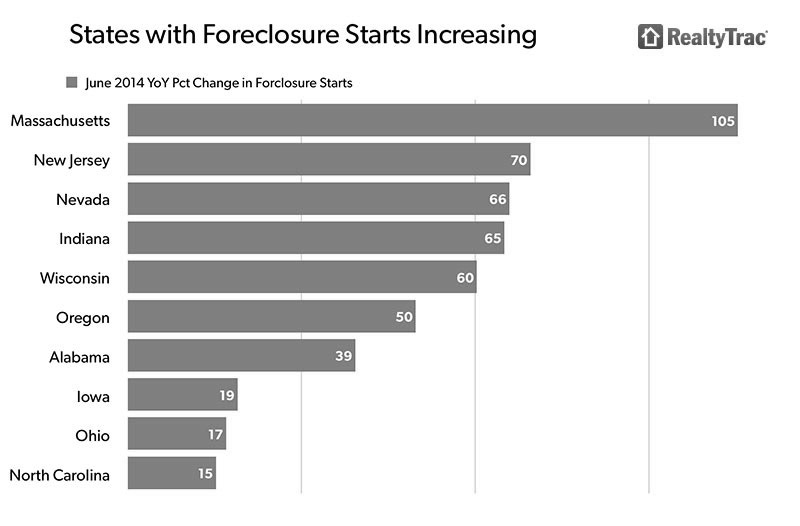 These areas are no stranger to the foreclosure crisis, and the fact that numbers in these particular areas are not improving is cause for concern. Nearly half of the mortgages in AHP’s current investment offering, opportunity 2014A, are secured by properties in Florida, Illinois, Indiana and Ohio. AHP is able to buy distressed mortgages at large discounts for a reason: foreclosing on properties is an expensive and time consuming process for banks. Banks are also not in the business of owning property; therefore, they do not want a stockpile of REOs. Unlike many of these large lenders, AHP does have the time and resources to work with homeowners to find solutions that help them avoid foreclosure. Also, AHP can manage a large portfolio of REOs because they have a dedicated team of asset managers who work with real estate agents nationwide on a daily basis to restore these properties to occupancy. So as the country sits back and applauds the decrease in national foreclosures, AHP continues to pave the way for homeowners and communities who have not been able to find their way out of the woods yet.